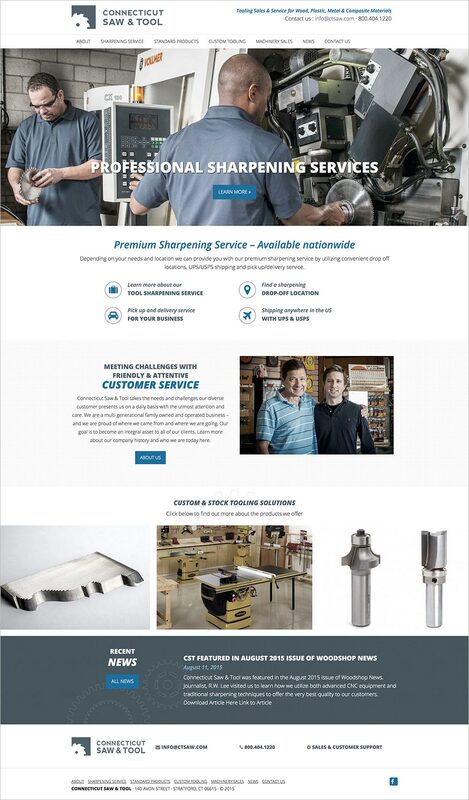 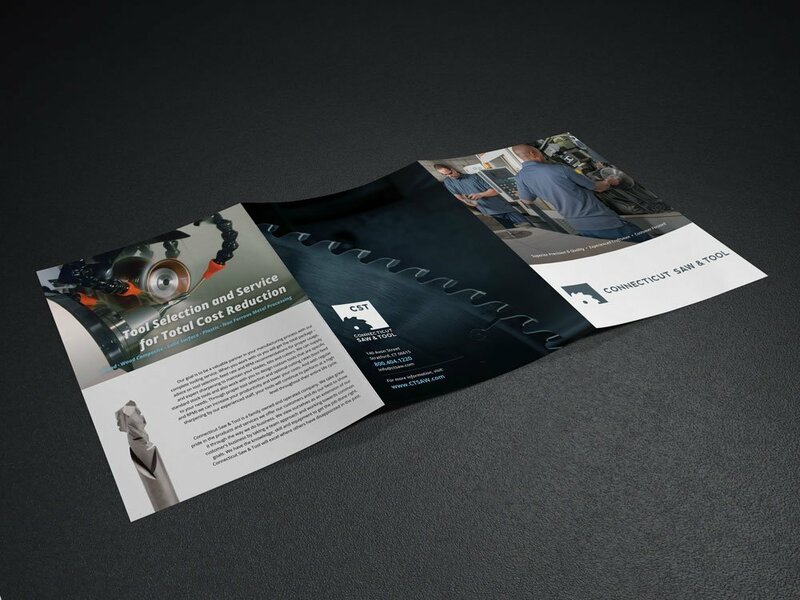 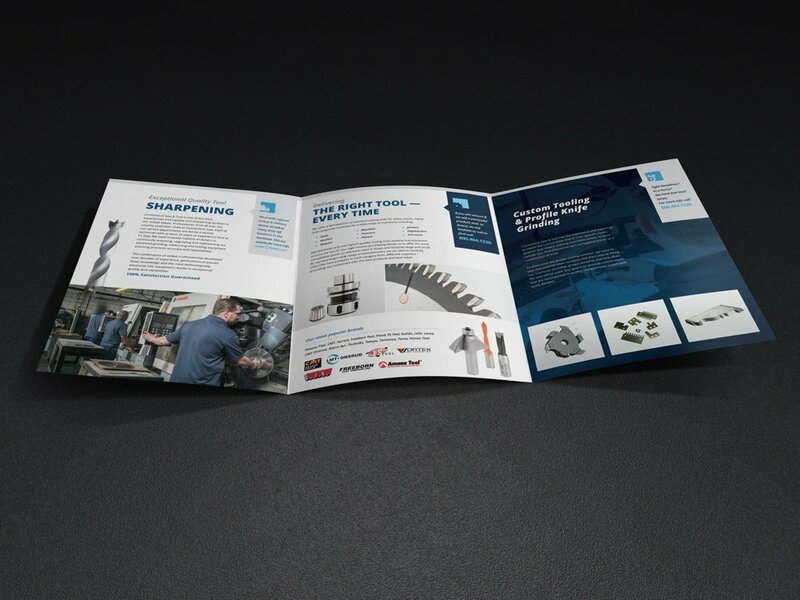 Connecticut Saw & Tool is a family-owned business looking for a truly exceptional experience – from precision manufactured and sharpened tooling, to the highest commitment of friendly and attentive customer service. 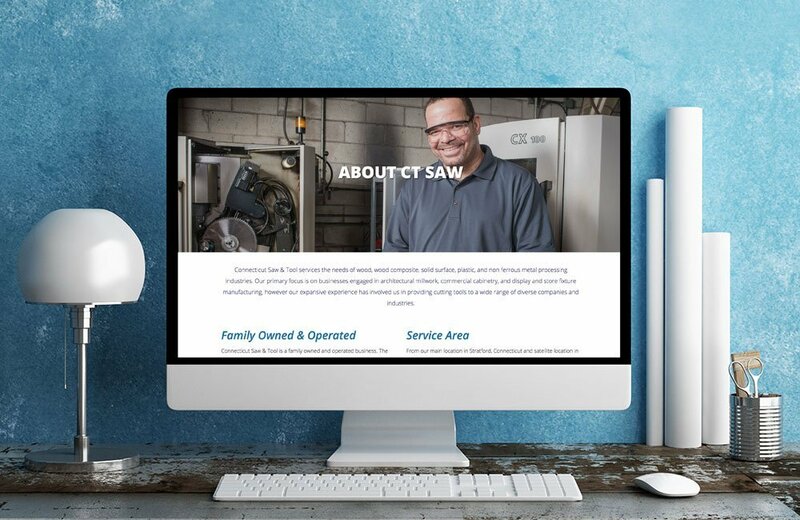 CT Saw was looking to create an easy-to-use and modern responsive website where their customers could get information about everything they provide. 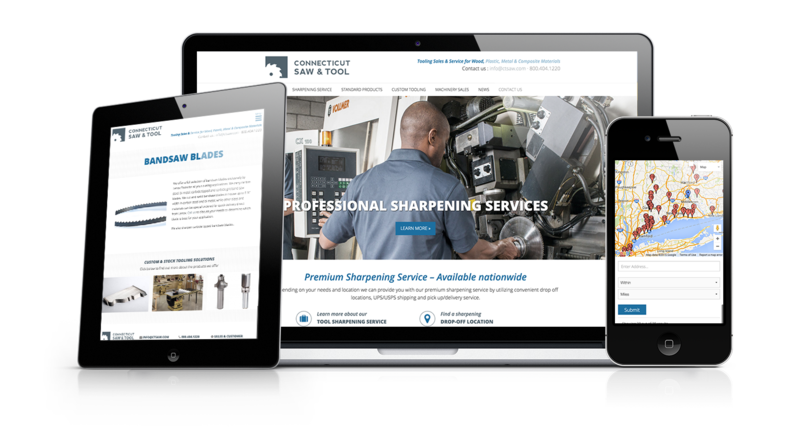 Also integrated is a full drop-off map location directory.